I am a birder-artist-naturalist associated with the LSU Museum of Natural Science in Baton Rouge, Louisiana, as well as a guide for Field Guides Tours Inc.
Born in New Jersey, USA, in 1973, I have had a particular interest in nature as long as I can remember. My two greatest loves have been birds and bird illustration... both manifested themselves at a very young age (perhaps from about 3 or 4 years of age), and I have yet to be able to shake them. Actually, I stopped trying long ago, and now these are the things that drive me most. I have been a bird-watcher all my life, and have been drawing and painting birds (to varying degrees of success) at the same time. My attention turned to Neotropical birds in my teens, and I have never looked back. 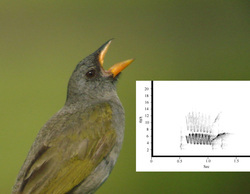 I enrolled at Louisiana State University in 1995, and received a master's degree in Zoology there in 1999 studying New World barbets (family Ramphastidae; subfamily Capitoninae). 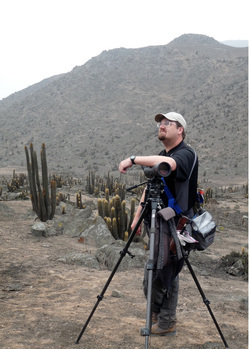 While there, I was lucky enough to join John O'Neill on several expeditions to Peru, and make other forays to Bolivia and Ecuador to study birds in poorly known sites. Even after my graduation, I have remained at LSU's Museum of Natural Science as a research associate and continue to participate in research expeditions to South America. In the past several years, I have had an association with CORBIDI, a biological research NGO based in Lima, Peru. Since my arrival at LSU, I have been fortunate enough to make some very good connections with other ornithologists who study Neotropical birds, and have been asked to illustrate several papers, some making the cover of the AOU's journal, the Auk. 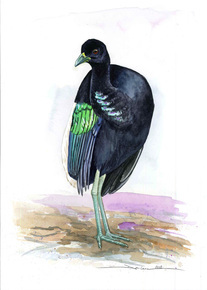 I also achieved a lifelong dream in about 2002, when I joined a team of top-notch artists who were illustrating birds for the Birds of Peru field guide (authored by Schulenberg, Stotz, O'Neill, Parker, and Lane), published in 2007, with a revised edition in 2010. I have been known to accept commissions for paintings to private buyers (but mostly prefer to illustrate Neotropical species), and sell paintings as well. As I develop these webpages, I hope to get some of my artwork up for your perusal and purchase. I consider myself a naturalist first and foremost. Despite a strong interest in birds, I also enjoy learning about all other aspects of nature and how they all interact ecologically. 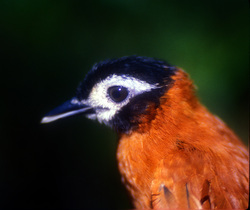 My fieldwork and research is largely directed at Neotropical systems, and particularly birds of Peru. Among the topics I find particularly interesting is the distribution, taxonomy, identification, vocalizations, natural history, and ecology of Neotropical birds. If you click HERE, you will be directed to a bibliography of papers, books, and sound publications in which I have participated as author. After my graduation from LSU, I started working as a birding tour guide. 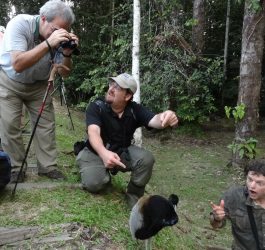 Since 2006, I have worked full-time for Field Guides Tours Inc., leading birders to sites ranging from my home state of Louisiana, to various destinations in the Neotropics, and even an occasional foray into the 'Old World'. To see my current itinerary of tours, click HERE. While in the field, I make every effort to document the voices of the birds I'm encountering with sound recordings. I also take photographs when I can. I've uploaded many of these to public-access websites so that they are available to others interested in them. If you would like to use a sound or photo commercially, contact me. In addition to the (marginally) more academic works above, I also dabble in art, but stick to the avian theme here too. Primarily, I have done illustration work for field guides, identification articles, and frontispieces for scientific articles for journals... but on occasion, I have had the time and inspiration to do something a bit more artistic. To view a gallery of some of my work, ﻿click here﻿.